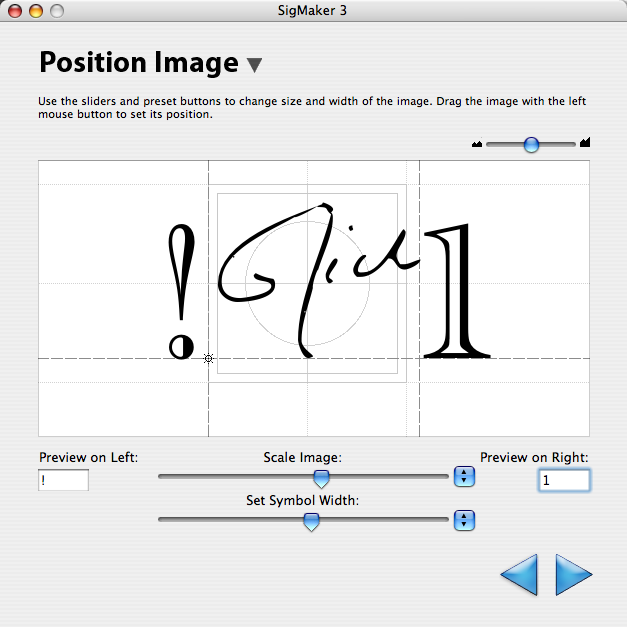 FontLab has just released SigMaker 3, an update to its utility for adding signatures and graphics to an existing font. The update primarily adds support for OpenType fonts (previous versions only worked with TrueType fonts) and Adobe’s SING extended-glyph architecture. With SigMaker3, you can take nearly any graphic image file—from JPG to TIFF to PNG to Illustrator files and more—and scale it to fit in an existing or new font so that you can use it inline in your documents. You can also create a new typeface with your logos, signatures or other branded graphics and distribute it throughout your organization. While there are plenty of more advanced font-creation tools that can do the same thing—most of them from FontLab—SigMaker3 is priced quite reasonably at $30, which makes it a nice utility to have in your toolbox.